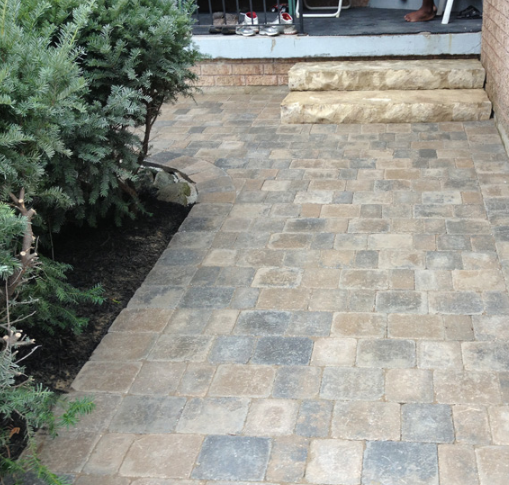 paver Archives - Epic Paving & Contracting Ltd.
Can I paint my brick pavers? Homeowners choose brick pavers for driveways, patios, and walkways. The attractive patterns have low maintenance and sidewalk repair. Why would you want to paint brick pavers? Some homeowners want to touch up the brick pavers or add an extra layer of protection through the stain-resistant coating. In other cases, a homeowner may want to change the overall look of the sidewalk by changing its color entirely. How can you paint brick pavers? While you can paint the brick pavers yourself, a professional will not only repaint the sidewalk but will inspect any issues that you might have with the pavers. They can offer sidewalk repair and pinpoint areas that might need replacement. Painting the brick pavers yourself takes time and dedication. Before you begin to paint the sidewalk, be sure that you sweep away any grit. A broom or vacuum will get rid of any grit. Spray the sidewalk down. Be sure that the pavers are dry. You want to remove all dirt and grime from the sidewalk. If you do not, you will end up sealing any dirt under the paint. Additionally, check the weather forecast. You don’t want to paint the walkway on a day with heavy precipitation. Try to plan properly for your painting. If you think you need to stretch the project over a few days, then be sure that rain or snow is not in the forecast. Because you are working with turpentine, be sure to use safety gloves, goggles, and mask. After you finish painting the brick pavers, be sure to clean the brushes properly. Rinse the brushes, rollers, and stirrers with turpentine. After they dry rinse them again with water. Brick pavers are durable and attractive. They add to the overall home value and have a unique artistic aesthetic. Adding a coat of paint makes older pavers look like new while also adding an additional protective coat. This entry was posted in interlocking, paver and tagged interlocking, pavers, paving on March 17, 2019 by epicpaving. Your home’s driveway is the first feature that any visitor or prospective buyer will see. Attractive curb appeal is an important aspect of any residence. There are many ways to enhance the overall look of your home, including repairing or replacing your driveway or installing a custom paved walkway. Read more to find out helpful asphalt reconstruction tips, style options, and other ways to improve your home. When a visitor drives up to your home, do they see worn, cracked pavement or potholes? Two helpful asphalt reconstruction tips include patching up any small holes and cracks once they occur and repair potholes before further damage affects the structural integrity of the driveway. Why are driveways so susceptible to damage? Harsh weather, snow and ice, or water damage all affect your driveway. In fact, the constant freeze-thaw cycles in colder regions cause regular damage. 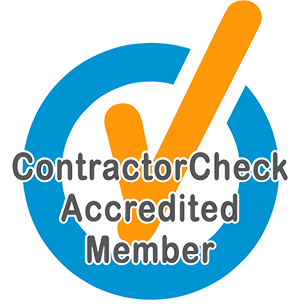 Contact a professional contractor to inspect your driveway. They will let you know if your driveway needs replacement or just patching. Create a retaining wall to prevent run-off and soil erosion. Speak with a contractor about integrating your landscaping with a retaining wall or berm. Add aesthetic beauty to your residence. Add luxurious elegance to your driveway, walkway, patio, or sidewalk with interlocking stones. Artistic and unique, they are a durable attractive feature ideal for any residence. Installation is surprisingly easy. Durable and easy to maintain, interlocking stones are a sensible way to improve your driveway and yard. Combine landscaping and hardscaping to prevent water runoff. Runoff can cause damage and is often unsightly. Native plants are ideal for preventing runoff affordably and easily. Additionally, use gravel and similar materials for your driveway to prevent runoff. Filter strips can trap pollutants and debris. Add stone, gravel, or brick hardscaping to add to your residence’s overall architectural style. Line a driveway with brick pavers or a sea of pebbles. Hardscaping can add beauty while also serving a function. Improve your home’s overall curb appeal with landscaping, hardscaping, and driveway maintenance. This entry was posted in asphalt, Concrete, paver and tagged concrete, driveway, interlocking, paving on November 20, 2018 by epicpaving. When considering asphalt construction, there are many important professional tips that will save you time and money. Some of these tips are simple, like using driveway sealer to add protection to your driveway or avoiding bad weather during construction. Let’s review some of the most important professional tips when reconstructing an asphalt driveway. Your driveway adds considerable curb appeal and safety to your home. From protecting your vehicle’s tires from debris to providing a safe place for your family and visitors to walk, it is important that you take all the maintenance steps necessary to lengthen the life of your driveway. This helps minimize the overall cost of full reconstruction. For example, using a driveway sealer on your driveway will add an extra layer of protection against cracking and potholes. While replacing an entire driveway is not always preventable, simple steps can add extra protection. Before starting work, be sure that you have a professional team help you. The paver should be operating correctly, properly prepared for construction. The paver speed will affect the smoothness of the pavement. Be sure that the crew focuses on the project, especially the mat thickness. If the paver applies material at the wrong speed, your driveway could end up with ripples and irregular mat depth. This will result in major flaws in your material thickness. The right amount of material needs to be constant. Fortunately, there are automatic feed systems to help monitor the number of materials being laid across the width of the screed. Consistent paving yields the best results. Monitoring mat temperature is paramount to successful and smooth paving. Compaction needs to be accomplished with enough fluidity to remove excess air. The compactor operator is responsible for maintaining the right temperate during construction. A final step is having a consistent rolling pattern. This will affect the long-term use and stability of your driveway. Contact your local paver to discuss ways that you can ensure a smooth driveway during asphalt reconstruction. This entry was posted in asphalt, paver and tagged asphalt, asphalt. installation, paving on September 18, 2018 by epicpaving. What is the Difference Between Sidewalk and Pavement? The English language is a pretty funny thing. For example, what is the difference between sidewalk and pavement? Is there a real difference between these two terms, or are they the same? Can you walk on pavement or drive a car on a sidewalk? Hopefully, your car stays on the road, but this can get a little confusing. Well, time to parse it out – Sidewalk versus Pavement. Generally speaking, the sidewalk often refers to a pedestrian walkway. So what is the difference between sidewalk and pavement? A sidewalk does not necessarily need to be paved. In fact, it can be grassy, sandy, lined with stones and pebbles, or just be some long-forgotten trail. Typically, the sidewalk is near structures like homes, stores, and apartment buildings. They are often next to a street and will provide a safe place for pedestrians on foot and on bicycle to travel. While the term “pavement” can possibly refer to the sidewalk, the pavement really just refers to a paved area. For example, a parking lot, road, or driveway. Typically, the pavement is made of materials like asphalt or concrete, not a grassy area. The pavement is always covered by a material. Depending on the region, “sidewalk” and “pavement” may be interchangeable. Another key difference between sidewalk and pavement is their overall functionality. Loosely speaking, the sidewalk is meant for pedestrians. They can be on foot, bicycle, stroller, or wheelchair, but they are typically traveling at a much slower speed. This is why the sidewalk is so important. It provides necessary safety for individuals. Sidewalks are also typically narrower paths than pavement. The pavement can cover a large swath of land, or be an entire road. The pavement is meant for vehicles like cars, motorcycles, and trucks. While pedestrians can walk on the pavement, they will typically choose a sidewalk instead of safety and convenience. And now you know the difference between the pavement and sidewalks. This entry was posted in paver and tagged driveway, paving, sidewalk on August 16, 2018 by epicpaving. How Much Does it Cost to Build a Paver Walkway? When installing a walkway, many homeowners wonder how much does it cost to build a paver walkway. There are various options to consider when calculating the overall costs of installing a new walkway on your property. Some of the biggest components to determine final cost include the materials and overall length/width of the walkway, but even slight changes and extra features can add substantial cost. Before you even begin to calculate other costs like materials be sure that you know the length and width. The area is the most important factor when calculating how much does it cost to build a paver walkway. Some options include flagstone and concrete. After figuring out the area of the walkway, figure that it can cost anywhere from several dollars to twenty dollars per apiece. What type of materials are you going to use? Are you going to go with basic pavers or something more luxurious? Are you going to use a basic size or odd shapes? What color are you using? Will the project be custom-designed? As your contractor about what options are available in regard to materials. The more elaborate the pavers the costlier the project. Installation includes the cost of labor, as well as paver equipment. Additional job supplies are also included in the amount. Intricate designs and patterns may take more time to install. Speak with your contractor to determine the estimated cost of labor, supplies, and equipment for your project. Additional features like lighting or adding a pergola can add substantial cost to your walkway costs. Be sure to consider these costs when calculating the final cost of a walkway. Work out the layout with a professional landscape architect. They will help you meet your own personalized style while incorporating an accurate cost of construction. A beautiful new walkway will provide a haven in your backyard or garden. Enjoy the aesthetic pleasure that a customized walkway provides. 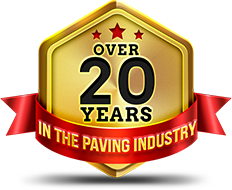 This entry was posted in paver and tagged paving on August 16, 2018 by epicpaving.